"This heartfelt, witty addition to women's fiction will appeal to fans of Elizabeth Berg and Anna Quindlen." (""Booklist)""
Georgia Waltz has things many people only dream of: a plush Manhattan apartment overlooking Central Park, a Hamptons beach house, valuable jewels and art, two bright daughters, and a husband she adores, even after decades of marriage. It's only when Ben suddenly drops dead from a massive coronary while training for the New York City Marathon that Georgia discovers her husband--a successful lawyer--has left them nearly penniless. Their wonderland was built on lies. As the family attorney scours emptied bank accounts, Georgia must not only look for a way to support her family, she needs to face the revelation that Ben was not the perfect husband he appeared to be, just as her daughters--now ensconced back at home with secrets of their own--have to accept that they may not be returning to their lives in Paris and at Stanford subsidized by the Bank of Mom and Dad. As she uncovers hidden resilience, Georgia's sudden midlife shift forces her to consider who she is and what she truly values. That Georgia may also find new love in the land of Spanx and stretch marks surprises everyone--most of all, her. Sally Koslow's fourth novel is deftly told through the alternating viewpoints of her remarkable female protagonists as they plumb for the grit required to reinvent their lives. Inspiring, funny, and deeply satisfying, "The Widow Waltz" explores in a profound way the bonds between mothers and daughters, belligerent siblings, skittish lovers, and bitter rivals as they discover the power of forgiveness, and healing, all while asking, "What "is" family, really? Sally Koslow is the author of three novels, "The Late, Lamented Molly Marx," a Target Book Pick; "With Friends Like These"; and "Little Pink Slips," inspired by her time as the editor in chief of "McCall's"; and "Slouching Toward Adulthood," a witty and insightful report from the parenting trenches. She lives in New York City. "Well-written, page-turning domestic fiction about a family’s reinvention and healing that will attract fans of Elizabeth Berg." "An inspirational piece about rising up to meet challenges, valuing family, and finding independence, inner strength and new perspectives. . . . Those of you looking for a breezy summer book should thoroughly enjoy Koslow's latest effort." "Entertaining . . . Koslow knows how to please." "Sally Koslow gives us a portrait of female fortitude and reinvention in her tale of how fifty-something Georgia must start again from 'Go’ after her luxurious Manhattan life implodes overnight. Reading a Koslow novel is like eating a top-of-the-line gourmet truffle: exquisitely and carefully constructed, ultimately pleasurable—yet there's iron in it, too. Readers of Anne Tyler, Elin Hilderbrand, Cathleen Schine, and Randy Susan Meyers will devour this book as I did." 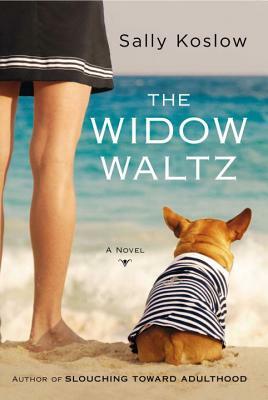 "The Widow Waltz is as smart, savvy, and clear-sighted as its heroine, a woman who searches for the truth beneath her dead husband's betrayal. Sally Koslow has written a warm and buoyant story about marriage, motherhood, and second acts."